Adding Google Slides to your signs is an easy way to showcase content you already have created, as well as provide a way to allow others to update the content without modifying anything else on your signs. 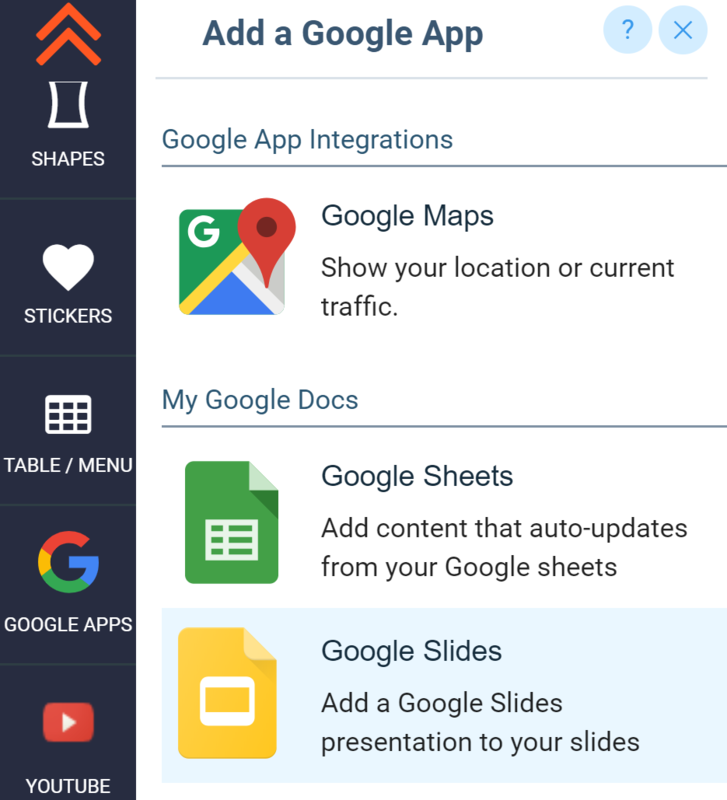 Once you add Google Slides to your signs, they automatically will update throughout the day if you Google Slides change. Go to Google Slides and open the File you would like to add. 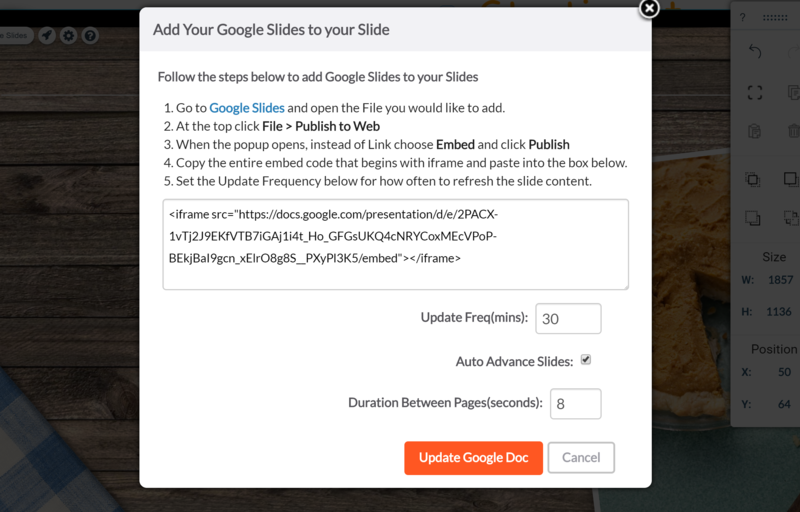 Once you insert your Google Slides to your slide, it should automatically update whenever you update your Google Presentation.